Running for the last sixteen years (yes, sixteen! ), SWELL sculpture fest is one of the highlights on the Gold Coast calendar, filling the shores of Currumbin Beach with unique and exciting art. Running for two weeks in September, admire gravity-defying pieces and get up close and personal with larger-than-life creatures, with local and international sculptors and artists filling our beaches with art. If all of the sculpting is inspiring you, you'll also have the opportunity to try your hand at still life drawing, or take a sunset guided tour around the pieces to learn about each one... Maybe you'll discover a hidden talent! Are you ready for a night of glitz, glam and way too much glitter? The 'Three Legged Beauty' Natasha St James and 'The Gender Bender' Terry Daktyl will be taking on The Avenue for an incredible evening of dragalicious fun, performing an exciting and slightly naughty show that'll leave you shocked! Combining captivating costumes, high energy performances, risque comedy and plenty of glam, these two Drag Queens are certainly no stranger to The Avenue stages - And they'll be sure to give you a night to remember! Who said High Tea was for women only? InterContinental Sanctuary Cove is hosting the ultimate Gentleman's High Tea for Father's Day this year, curating a bespoke three-course menu to totally spoil all of the Father's in our lives. Dress up and start the event with a glass of craft beer or whisky before moving onto chocolate panna cotta, amaretto jelly and caramel scotch truffle for the first course, then gourmet lamb sliders and sweet potato fries for the second. Rounding the afternooon off will be Korean spiced chicken wings, with plenty of all the best beer flowing to make for a truly incredible day out! Why stop at just breakfast, lunch or dinner... Why not go out for all three! QT has you covered for all of your foodie needs this weekend, opening up both Stingray Lounge and the Bazaar for all three meals! 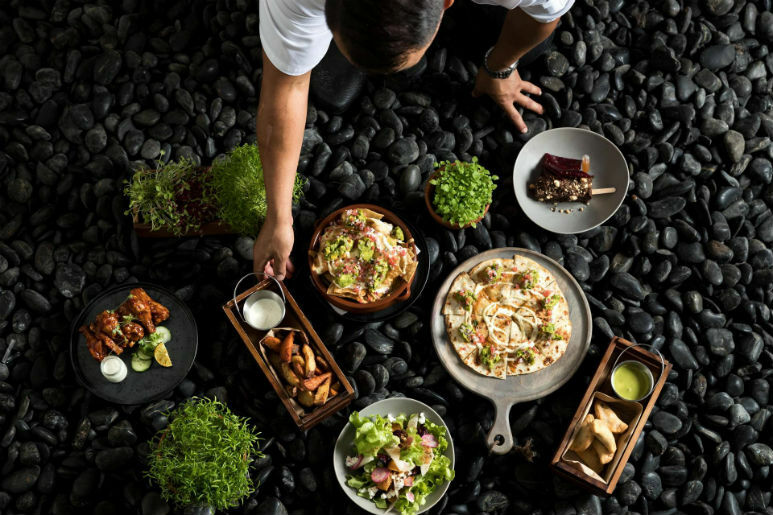 Treat your Dad to a breakfast (or brunch) of waffles, pancakes and omelettes, or book him in for Dinner at the Bazaar with plenty of salads, slow-cooked meats, seafood and sweets to please even the pickiest eaters. If you're looking for something a little bit fancier, Stingray Lounge is also hosting an exclusive 'Man Tea', treating all Dad's to a morning of loaded fries, brisket sliders and plenty of drinks to go round. Tickets are going fast, so don't forget to book!